Last evening, just before 9 p.m., the second suspect of the Boston Marathon bombing, Dzhokhar Tsarnaev, was taken in to custody –injured with gun shots to the head and hand– and placed in an ambulance. Within minutes, the medic unit then led the convoy of emergency vehicles along Franklin St. and toward Beth Israel Hospital. Several hundred individuals, most of them residents of Watertown, Massachusetts, lined the streets and broke out in impromptu cheering and applause as they drove by. Strangers high-fived strangers as onlookers young and old rejoiced that the nightmare — at least this one — was finally over. As I watched this play out on my live stream, I couldn’t help but remember the eerie images of people of all ages lined along the streets of Boston, cheering on the marathon runners as they reached the finish line. Those individuals, innocent and unsuspecting with their smiles and laughter, would soon have their lives changed forever in the most horrific manner possible. Last evening, the individuals lining a very different street were, as well, quite different from those who cheered on the marathon runners just five days ago. These folks were exhausted but relieved. They clapped and cheered for the end of a very different marathon. Those running this five-day race were dressed in full combat gear — both physical and intellectual, working on little to no sleep since last Monday. But they, like the runners, pushed on through the most challenging and grueling of scenarios and situations. On Thursday, President Obama, in his remarks at the memorial service for the victims of the bombing, spoke of the strength and resolve of the Boston communities. Tonight, our intelligence and police crews did just that. For all of Boston and the United States, they crossed that finish line together, bearing the worries and burdens of the hundreds of people who had been injured or who had died since Monday’s attack, bringing to an end what has been an emotional and terrifying week for America. Monday: the terror begins with bombs on the streets in Boston for its annual marathon. Tuesday: letters addressed to President Obama, a U.S. senator, and a judge, laced with the deadly poison ricin, are intercepted at off-site mail checkpoints. Wednesday: a massive explosion rocks the town of West, Texas at a fertilizer plant, killing potentially scores of residents and first responders. Thursday: news breaks late in the evening that an officer at MIT has been murdered, and the suspect is at large. Friday: We wake up to learn that the MIT on-campus shooting is related to the Boston Marathon bombings, one suspect is already dead, and a door-to-door search is taking place for the second suspect. The entire area in and around Boston is on lockdown, and all mass-transit transportation is shut down. 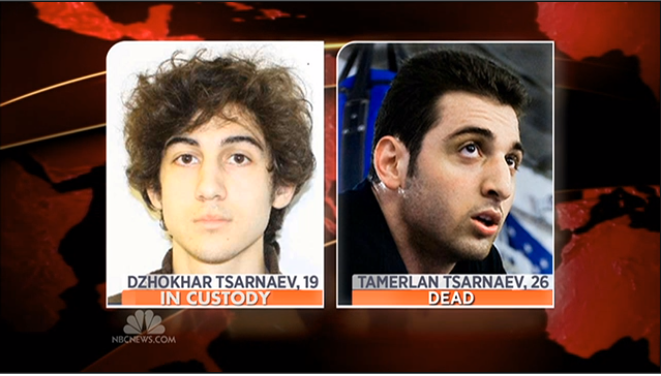 Boston, Watertown, and other suburbs wait anxiously behind locked doors for some sign, some news that the manhunt for Suspect No. 2 is finally over. A little before 9 p.m., the residents of Watertown, Boston, and all of America receive word that the hunt is over. And all throughout Boston, the citizens once again took to the streets, cheering, celebrating, hearts still heavy, grateful that the ordeal was finally over. This sidewalk applause, these bookends of a tragedy, send a clear message to the world: You cannot break our resolve, our determination, our commitment to freedom and liberty. In America, we always finish the race, and we do so as one united country, divided by none.